Lawbrg:take SR48 to almost SR101, turn Lft.onto County Line Rd, Rt.on CR 700 N. Property on Rt. No Signs. Privacy & Seclusion!Get away from the stress! 3Br,2Ba retreat offers a nice open flr plan w/new HDWD flrs & updated LR. 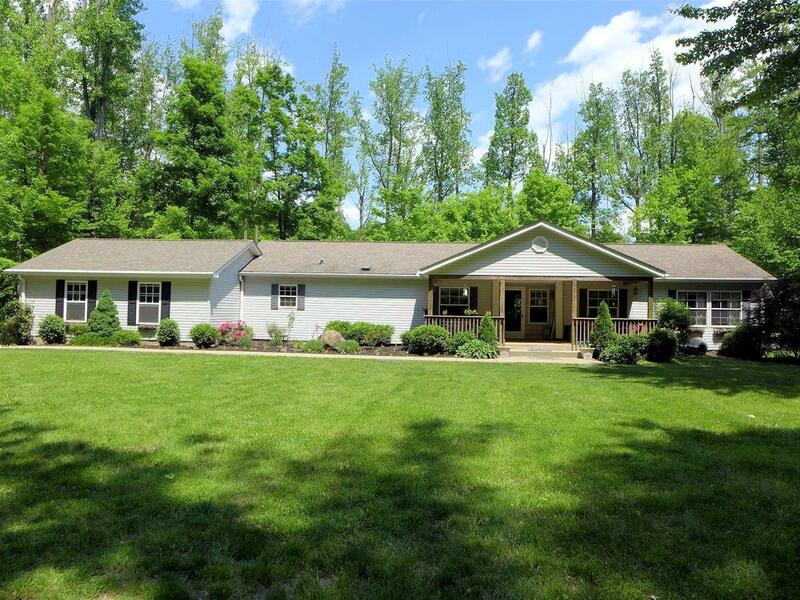 Sits on over 50+Acrs, 25acs of pastures, mature woods(poplar, beech, cherry, hickory, & some black walnut). Beautiful lg stocked 4.5 ac pond, & 2 additional stocked ponds.60x40 barn w/4 horse stalls, 2 additional shelters. NOTE: This property was sold on 11/10/2016 and is no longer available. The details listed below are believed accurate to the date of the sale and are subject to change.